Penang, Malaysia is where past meets present, where many cultures and flavours fuse together to create a colourful area. Penang is the place to go for all of your food dreams and is regarded as the food capital of the country. George Town in Penang is known for serving up some of the best food in not only Malaysia but Asia. Here you'll get a mix of traditional Malaysian food, blended together with Chinese and Indian. Baba Nyonya, or Peranakan, combine local ingredients with Chinese and Malaysian cooking techniques and methods to create totally gourmet and absolutely delicious dishes such as Mee Goreng and Nasi Lemak. Stop by at some of the many hawker centres found throughout the town. A hawker centre is the name used for cooked food centres throughout Asia where you can try some amazing and authentic food. What stalls should I try? There are some stalls in particular that bring together this diversity, passion and flavours you will want to relish. Char koay teow stall, on 86 Kimberly Street, serves stir-fried rice noodles that you can enjoy at a low pavement table. This is an iconic, fresh and delicious style of street food. Stall owner Lean Joo Sean has a secret recipe that includes mantis prawns and has been drawing in customers since 1954. Next to one of Asia's longest reclining Buddha statues on Jalan Burma, is the Sin Hwa coffee shop. This stall is known for its claypot noodles and duck egg koay teow. No matter what, though, you simply have to try the assam laska. The dish is a perfect example of Nyonya, Chinese-Malay fusion cooking. It's tart, hot and sour all at once, with an intense fish soup base, and will ignite your palate with flavours of tamarind, ginger flower, galangal, pungent belcan prawn paste and topped with fresh and fragrant mint and shallots. What dishes should I try? Despite where in George Town you are, and what street stall catches your eye, some dishes are stand-outs and should be the first you order. Even if you have tried versions of these elsewhere in the world, it will likely be no match for what Penang serves up. Mee Goreng is one of the best noodle dishes in the country! It's made with fried noodles, garlic, onions and shallots, with either chicken or prawns tossed through. You'll enjoy other flavours of chilli, egg, cabbage, Chinese cabbage and pickles. 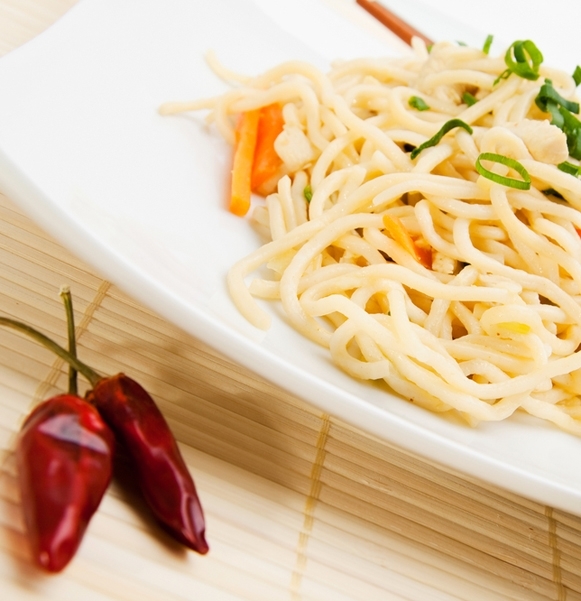 The dish was originally created from Chinese chow mein and has since evolved into what it is today. A famous rice dish served throughout the day is Nasi Lemak. The rice is cooked in coconut milk, with a banana or pandan leaf to seal in the flavour and fragrance. This is served with fried or hard-boiled eggs, sambal, which is a chilli sauce, anchovies and peanuts. It can include other ingredients such as chicken or beef rendang, squid fritters or sambal fish. The whole lot is arranged on a plate, try them all together as all of the elements go together wonderfully. With so much to try, the choice of what to eat becomes overwhelming. Don't head to the stalls that are the most popular and get a complete meal, instead make your way around many stalls, trying a small dish at each one. If you are with a group of friends or a loved one, buy a starter to share, this way you will be able to try more of the different flavours on offer. Also, be sure to have sufficient cash, and keep your money in a pouch close to yourself. Know how much the average cost is for each of your dishes. It is also a good idea to know a few words of Malay. Head to George Town for some of the best food you'll have in the country, and allow yourself to be swept up in the life and colour of Malaysia.